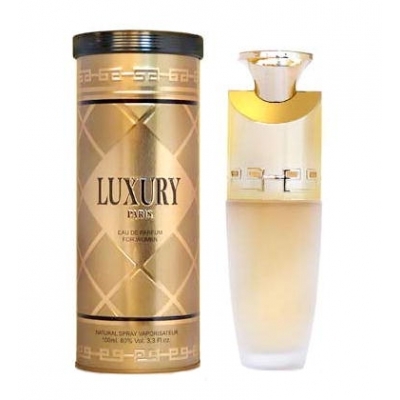 New Brand Luxury is a Floral Woody Musk fragrance for women. Spirited and diverse, this fragrance offers the feminine charm of a rich floral scent. This encapsulates the top notes of purple freesia and Jamaican pepper as well as longer lasting floral scents such as hibiscus, jasmine and rose. The top notes are allspice and purple freesia. The heart introduces heliotrope and jasmine in an alliance with hibiscus blossom and Bulgarian rose. The base brings Himalayan cedar, warm woman skin accord, sandal and incense.